With the webinar, you will receive the executive summary of The Government Relations Industry Compensation Report. The government relations industry is notorious for having very little visibility into compensation and benefits data. What kind of salary can you lobby for? What benefits should you expect, given the size of the organization and your experience? Does previous government experience play a role in salary? Lobbyists.info conducted a survey on government relations compensation across many different types of firms, and this webinar will give you the inside scoop. You can’t afford to wait. Register now for The Mystery of Government Relations Revealed: An Analysis of the Government Relations Compensation Report and save $120 on the Report. In this 90-minute webinar, Columbia Books’s Database Project Manager, Emma Griffin, gives an overview of insights gained from the Government Relations Industry Compensation Survey taken earlier this summer. You’ll learn what your monetary value is as a government relations professional, or how much to expect employees to ask for if you are in a human resources or management role. Understand this misunderstood industry. Allow one expert from publications such as the Almanac of American Politics and Washington Representatives to give you the inside track to earning what you deserve, or learning to pay employees fairly. Plus, you’ll have receive the executive summary of the report for attending the webinar. Emma Griffin is a Database Project Manager for the Government Relations Division of Columbia Books & Information Services. 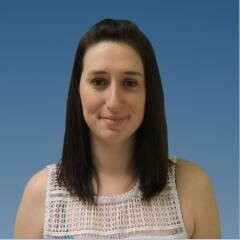 Emma has 2 years of experience in the government relations industry, specifically in data analysis and research. Before coming to Columbia Books, Emma worked as a Government Account Representative and a Data Analyst. She attended George Mason University and graduated with a Bachelor of Science in Public Health. Emma will also be presenting this year at the Professional Women in Advocacy Conference.